With more than 39,000 patients with diabetes seen at Parkland Health & Hospital System, adequate access, screening, preventive care, self-management education and support are an enormous challenge for Parkland and the community. 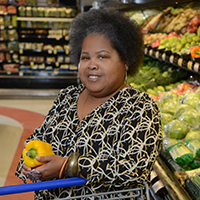 Diabetes affects over 11 percent of the population in Dallas County – higher than the national average. Type 2 diabetes is one of the most common chronic diseases in the United States. More than 90 percent of diabetes patients at Parkland have Type 2 diabetes and most seek medical attention when disease complications have already begun. Poorly controlled diabetes and associated conditions are the leading cause of blindness, kidney failure and non-traumatic amputations in adults, and heavily contributes to heart disease, stroke and increased mortality. Diabetes burdens the underserved, diverse populations entrusted to Parkland’s care presenting an important opportunity and responsibility to lead knowledge and change in diabetes care as the county’s only public hospital. Parkland must address the underlying cause of the disease – diet and exercise – to tackle the diabetes epidemic in the community. Implementation of these programs will help prevent new cases of diabetes, and provide effective management of the disease for patients already diagnosed. With their diabetes at a manageable level, their quality of life will improve and risk for complications and death will decrease. Your donation will significantly improve the care we provide patients, while working to improve the health of our community through education and disease prevention.